Fregate Island has 16 private villas available for hire. These are positioned to allow for maximum privacy at all times. All villas are built with native mahogany and blend in with their natural surroundings. They also all have their own private Spa Pool. The villas are laid back and tropical in décor – they are light and spacious with colonial style furniture and state of the art technology. 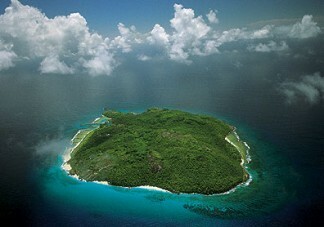 Fregate Island is located in the Seychelles. The Seychelles are a group of islands in the Indian Ocean, northeast of Madagascar. The easiest way to get to Fregate Island is to fly into Mahe which is the capital of the Seychelles. To get from Mahe to Fregate Island the easiest way is by air. The helicopter is for 4 people maximum and costs 786 Euro one way. The twin-engine 'Twin Otter' is for 20 people maximum and costs 950 Euro one way. These prices are subject to change. It is approximately a 20 minute flight from Seychelles International airport to Fregate Island. Fregate Island is a luxury private island with 16 villas for guests to hire which means there are never more than 40 guests at one time. It has the natural beauty of a tropical island setting with complete and utter privacy for all guests. Construction of the resort was done with the environment in mind and specifically preserved and protected the island's unique flora and fauna. Fregate is home to more than 400 wild giant tortoises which is one of only three roaming populations left in the Seychelles. Guests are often lucky enough to see the tortoises laying their eggs in the sand. Fregate also has its own fresh water source and most of the fresh produce eaten on the island is home grown! Fregate Island has its own private marina where boats will take guests out to fantastic diving sites. The marina overlooks a lagoon which is protected by a small reef which means the beaches here are very protected and perfect for swimming, snorkelling and beginner divers.